THE FSF has this interesting new article about “Active Management Technology”. It was written by Ward Vandewege, Matthew Garrett, and Richard M. Stallman, who awarded Garrett for his work on UEFI. One year ago, around the same time that Snowden leaked some NSA documents, we warned that UEFI could be used to remotely brick PCs. Later on, after the NSA leaks had gone maintream, the NSA pretty much confirmed it was a possible strategy (but defecting this to the Chinese). Going back to 2008 we also warned about back doors, some of which facilitated by broken encryption in hardware (e.g. Intel’s ‘hardware-accelerated’ RNG). That was about a decade after Microsoft had allegedly built back doors into Windows (we know that there are back doors now, but it’s just hard to say when Microsoft started it). 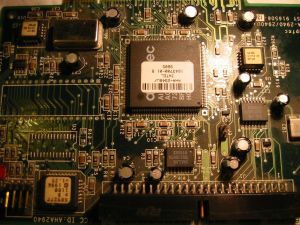 We already wrote a great deal about the problem with UEFI patents, UEFI ‘secure’ boot (taking control over computers, moving control away from the users to put itinto corporate hands and governments), but we have not done much to cover UEFI remote control capabilities, or more broadly Intel’s rogue role in intelligence, leading to a ban in some places (some variants of BSD refuse to use Intel RNGs due to fear of intentionally low entropy that derails encryption).